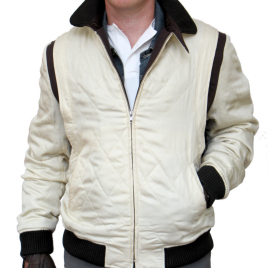 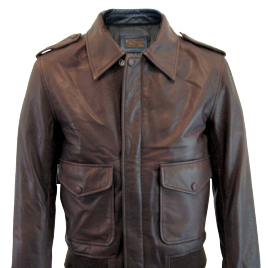 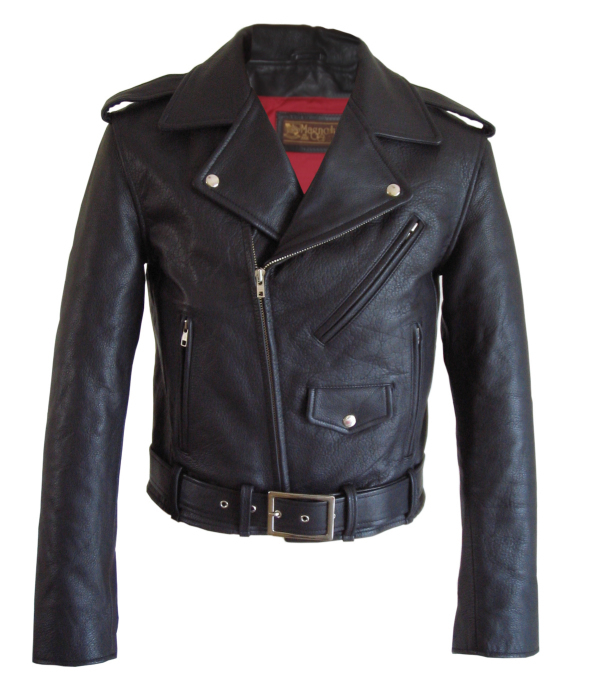 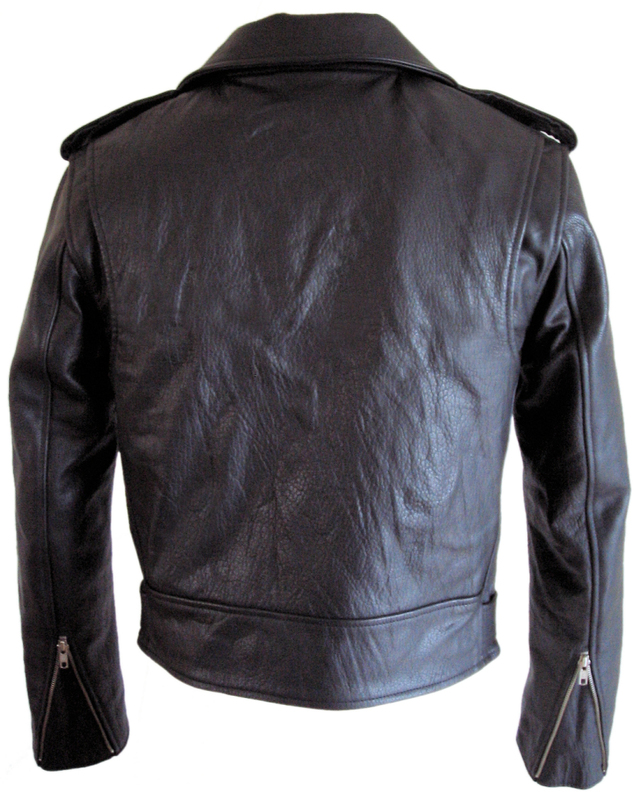 This is the classic 1950s motocycle jacket that has become the standard for generations of bikers. 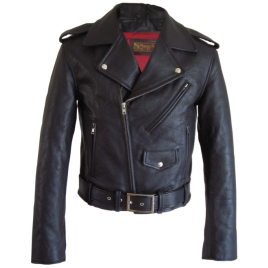 Features snapped lapels and collar, zippered pockets and cuffs, shoulder gussets and matching belt. 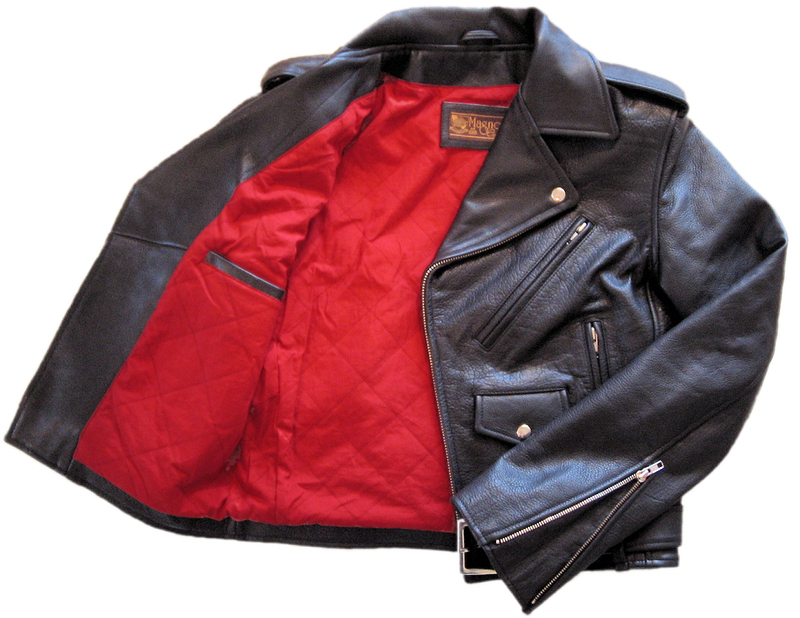 Shown below lined in striking red quilted cotton, we can customize this jacket anyway you like. 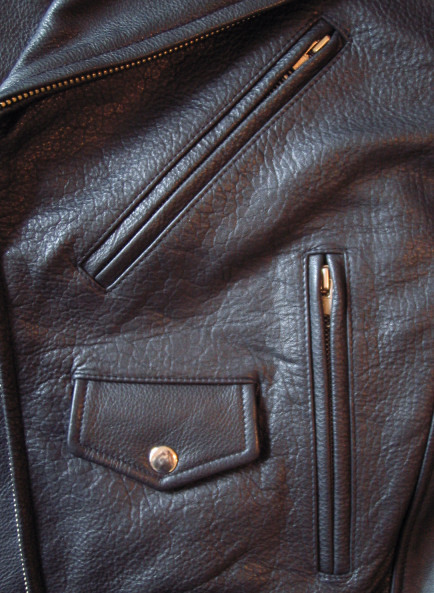 Upper lapel snaps can be shiny nickel (Johnny-style) or hidden (Mutt-style).